That I want the extra skin on my legs taken off. The more serious I've gotten with running, the more it moves, the more it moves, the more I want it off. I know, I know....I think I've heard it all. The biggest thing that sticks out is people telling me to love myself. I can't help but get a little angry. Just because I want to change something about myself doesn't mean I don't love myself. No one told me I needed to love myself when I decided to lose 200 pounds. I don't see how this is any different honestly. Btw, I wanted to lose the weight *because* I love myself. I get told to love myself.....but I already do. No matter what I want to change, whether it's to lose the weight I regained (ironically I've been told I need to love myself with that too) or take skin off to make me more comfortable, I don't love myself any less for it. Instead of asking people to just give me money (How weird is that? 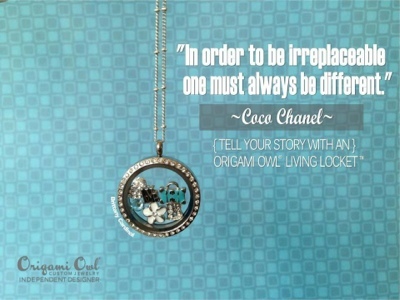 Goodness lol People never cease to amaze me) I signed up with Origami Owl and decided to start saving. 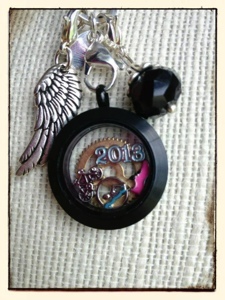 How cool is this triathlon locket? You can love yourself and be uncomfortable at the same time. If getting the surgery done will help you to be more comfortable and less irritated with your legs, I say do it. Life's too short. I am a firm believer in doing what I feel is best for me and my health which also means a healthy state of mind. I learned a long time ago if I wanted to stay sane I had to tune out all the "helpful" advice and listen to my own heart and soul. Well wisher are not always helpful no matter how well intended they are. So not that you need or want my opinion or approval (but I will share it with you anyway) I say do whatever the heck you want to do. It is YOUR body...it is the skin that YOU live in. Personally I still think you are awesome no matter what you decide! When I love myself, I do things that make me feel better. In fact, when this weight of mine comes off and stays off for a year, I will have loose skin removed as a REWARD to myself. THAT'S how much I love myself! I'm guessing my skin will be loosest around my middle, as that's where I'm biggest right now. So go for it, if you want to! "Why Not You?" - remember?